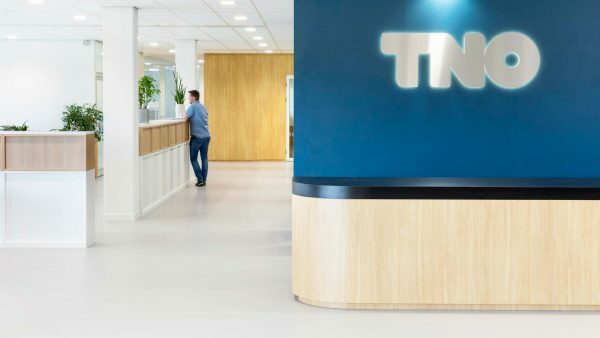 TNO connects people and knowledge. They create innovations that increase the competitiveness of industry and increase the well-being of society, all through a sustainable approach. 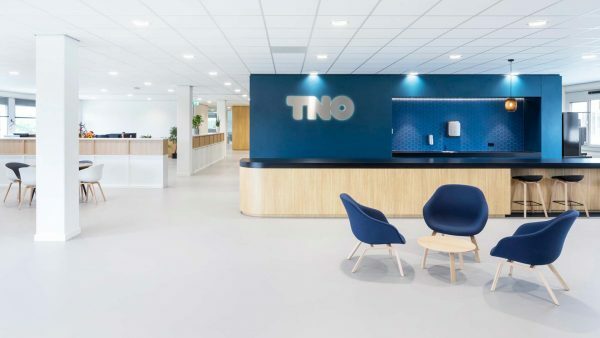 Given the globalization of research, TNO is becoming an increasingly international character. Their core values lie in creating a better future from a social perspective. 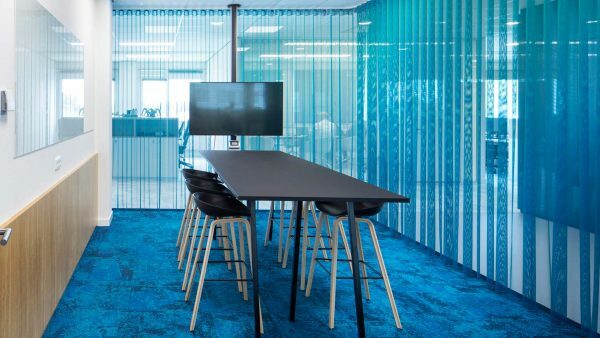 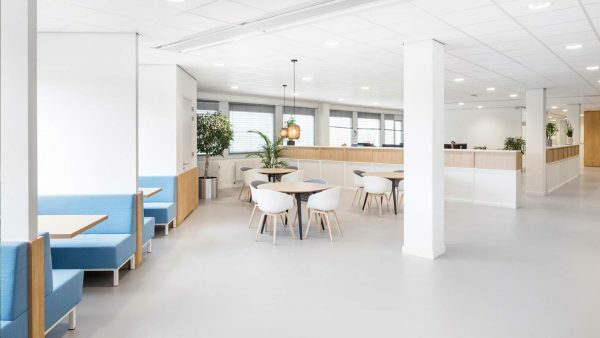 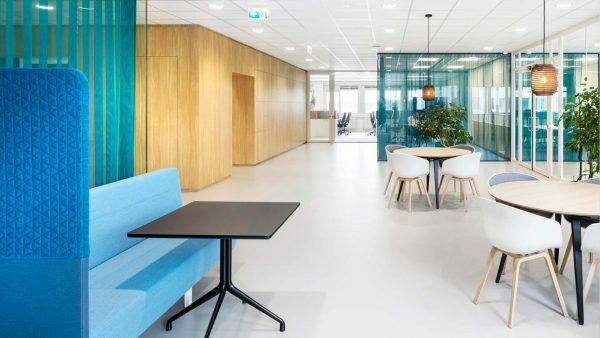 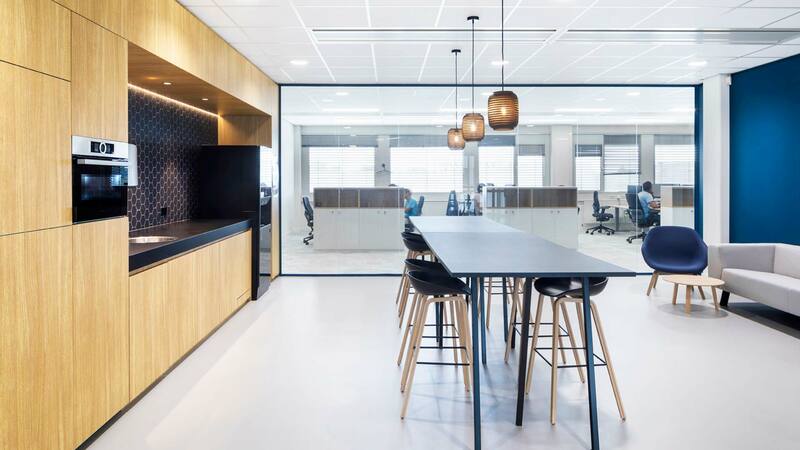 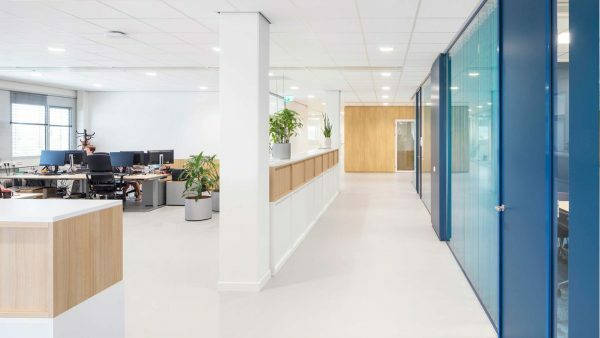 Hollandse Nieuwe were invited to design the office in their existing building, taking these core values as a starting point. This particular TNO office is situated on the well known Automotive Campus, which was an important element in forming their identity. 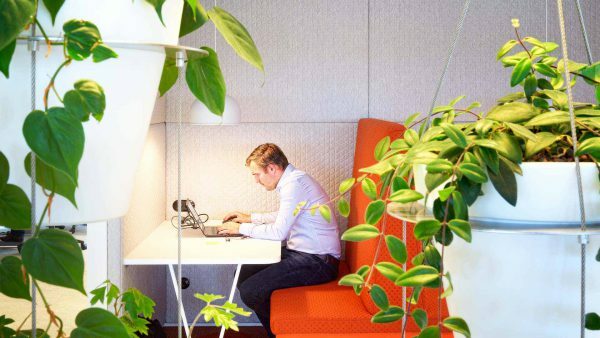 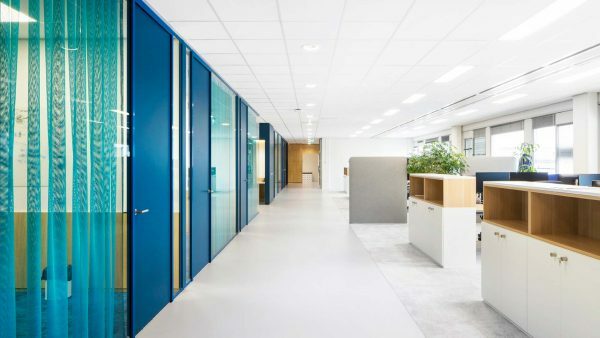 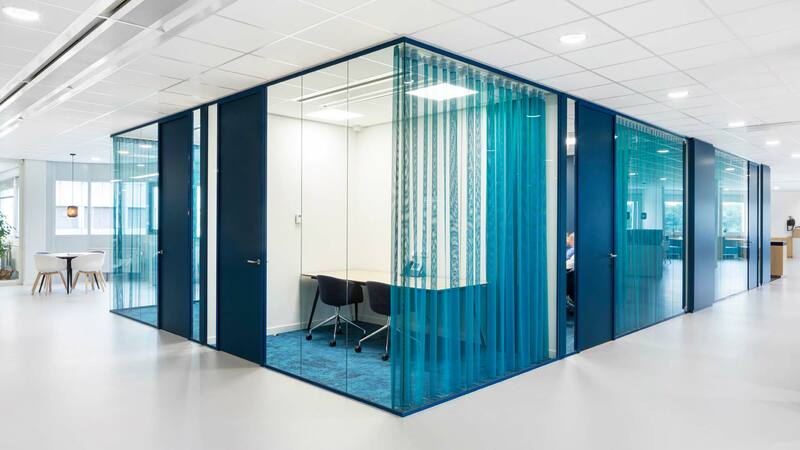 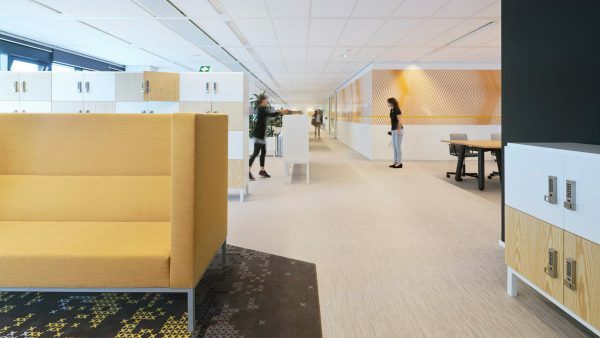 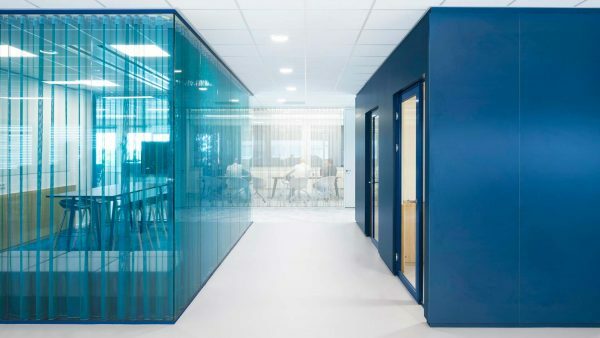 Translating TNO’s fundamental values of knowledge and innovation into a spatial experience, Hollandse Nieuwe created a central ‘core’ area that runs through the entire space. 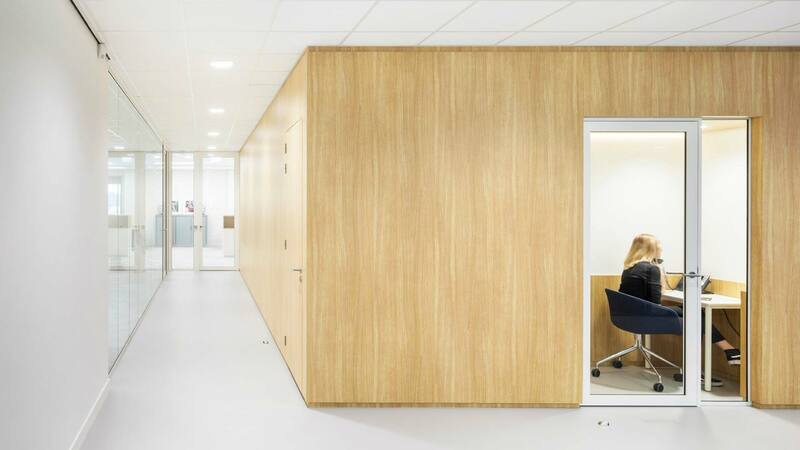 This long ’U’ formed meeting space merges several open and closed functions; from technical rooms, concentration units, phone booths, locker walls to meeting rooms and the kitchenettes. 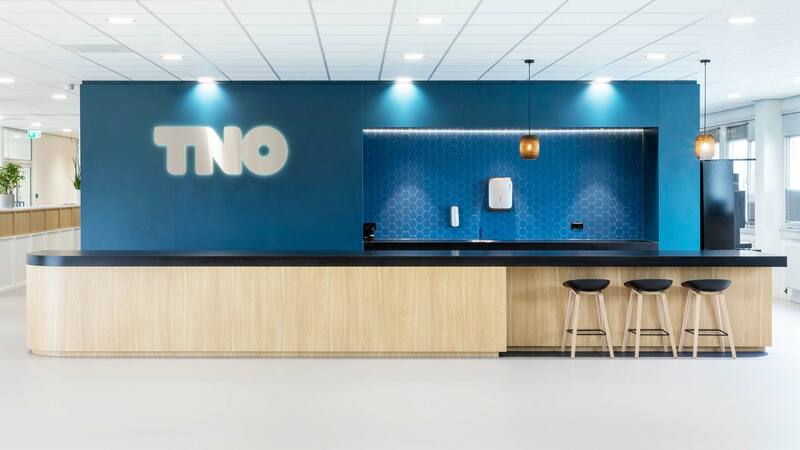 The different functions within this core are linked spatially and through the play of texture and materials in the characteristic blue of TNO. 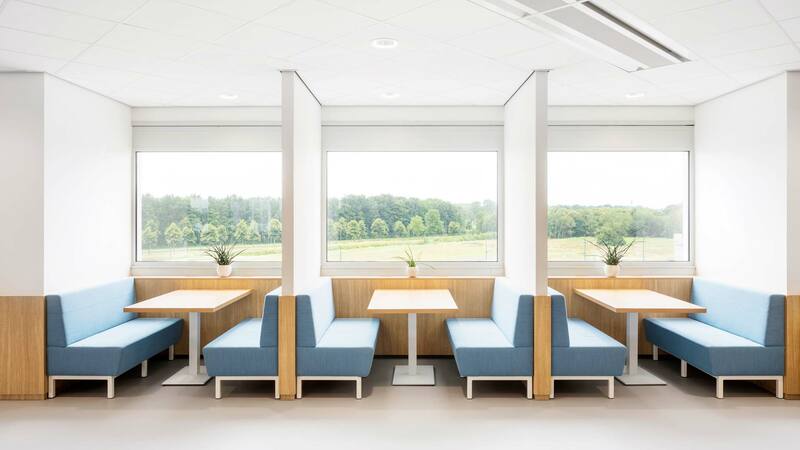 Outside, the core the workstations are situated overlooking the Campus. The colours and materialization of light grey and white and infer calmness and concentration, in contrast to the engaging, energetic blue core. 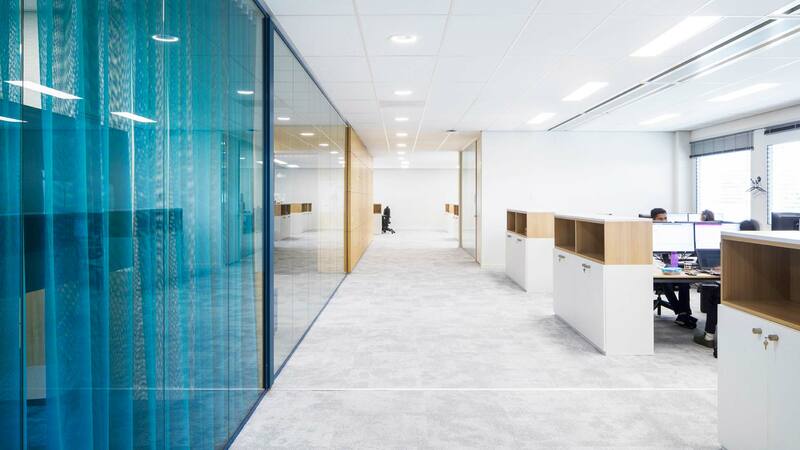 A graphic layer referencing the innovative, hidden patterns of the automotive industry was also developed and has been integrated throughout the project in several details.